Dit najaar zal de Stichting CAPIGI Foundation starten met een cursus reeks "Raak vertrouwd met precisie landbouw". Since December 2017 the CAPIGI Foundation has been established to build a strong community where we can build a bridge and bring together the different stakeholders; Government, Industry, Sector & Research. We want to connect people from these stakeholder groups to discuss the application of geospatial data and systems in agriculture. CAPIGI’s goal is to stimulate discussions and networking . These stakeholder groups do not often or easily meet, therefor CAPIGI wants to create a community where all different stakeholder groups can come together. Sharing knowledge from different groups is of high importance to create new ideas, come to new innovations and solutions for difficult problems in the AG sector. 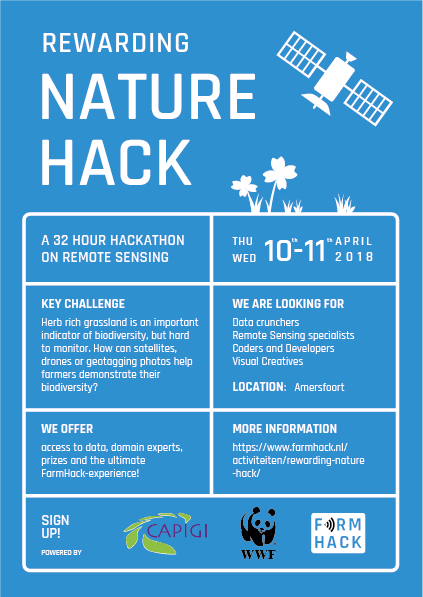 This year, CAPIGI 2018 provided a conference, a hackathon and a drones demonstration day, all three-in-one! CAPIGI 2018 updated the audience on the latest policy developments in European Agriculture, to get informed of emerging capabilities in satellite data and applications, the newest precision agriculture options and how these all converge to a new Performance Agriculture. Performance in environmental, climate and economic sense. In less than three weeks the CAPIGI conference will start. Don't forget to register. The CAPIGI team is looking forward to meet you there! CAPIGI 2018 focusses on Performance Agriculture: a new paradigm in farming where economic benefits are matched by environmental and climate benefits. 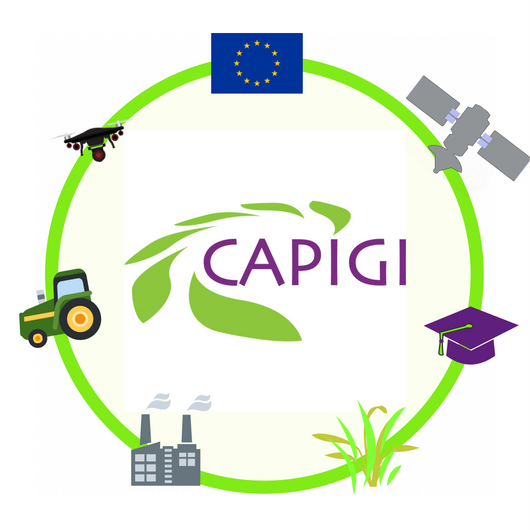 CAPIGI is the network for geo-information experts active in agriculture. CAPIGI 2018 discusses the contribution of geospatial technologies in enabling, achieving and monitoring better performance in sustainability. Presenting relevant policies, innovations, (im)possibilties and tools. Taking position in developments, barriers, opportunities and the role of various stakeholders. 9-11 April 2018 the conference will be held in Amersfoort, the Netherlands.